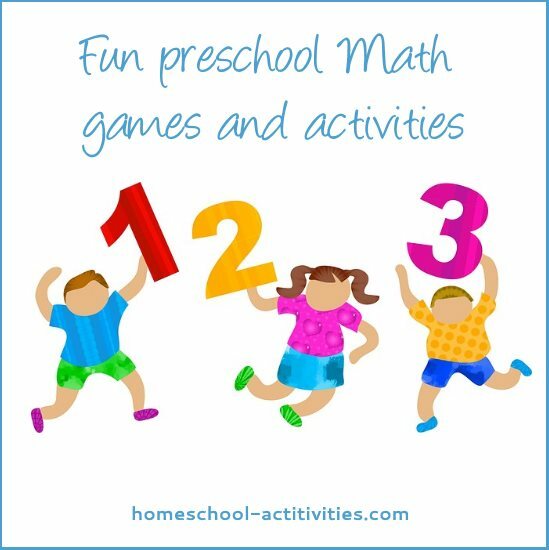 Fun math activities, especially math games for kids, are a great way to learn without knowing it! 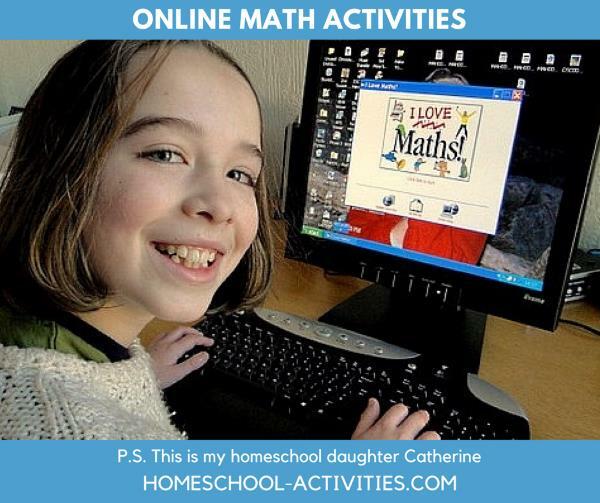 Kids math games have been something we've enjoyed for years in our homeschool and you can see suggestions here for activities right the way from preschool on up through to high school. Using kids games to teach maths is a winner all round. If your child is having fun they will naturally pick up not only all the basic maths skills but a love of numbers as well. There's no better way to get kids off to a flying start than when they're tiny! 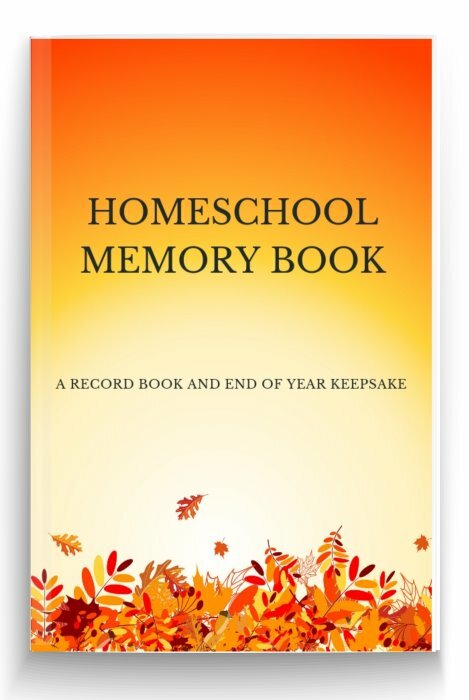 Kids are never too young to begin learning to count and we've got some lovely homeschooling games from music to I Spy in our page on preschool math activities. If you'd like some more fun math activities to slip in some preschool shape and symmetry, come and make a homeschool butterfly and eat your own Gummy Bear bar graph with these fun activities. Playing shop has to be one of the greatest fun maths activities ever! 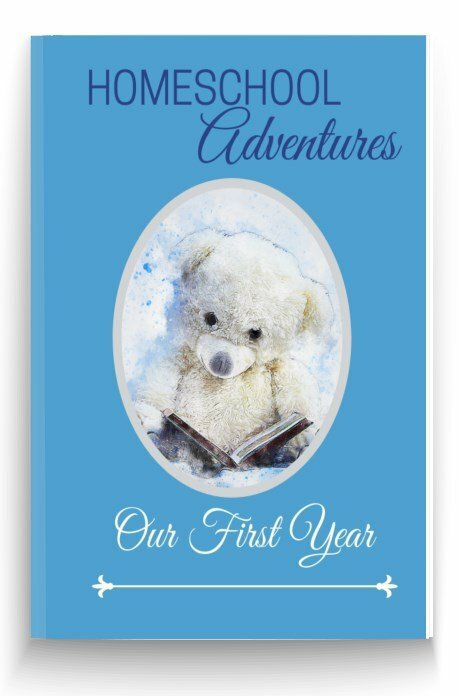 All children love playing at being big people and buying your favorite things while practising all the basic maths skills has to score all round. 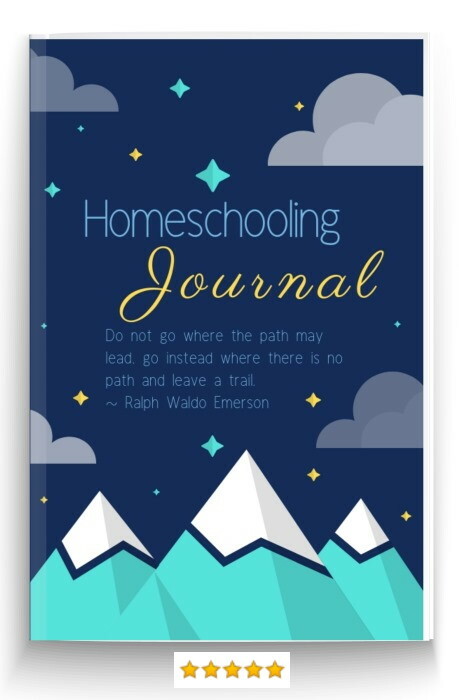 From toy cash tills to card games, homeschool cooking to finding their own weight, see if your child would like to have a go at these homeschooling ideas for kindergarten math games. Meet the locals by doing a dog survey in your local park, get out the Lego and start making your very own models from scratch - they're all hands on homeschooling and fun maths for kids! Kids at this age love playing Top Trumps. They are incredibly popular and teach maths number comparison extremely well. 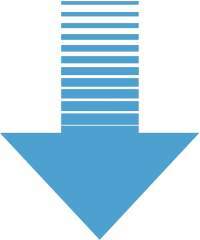 I'll show you how to go about creating your own. If you encourage your child to make their own set, you'll succeed in doing something they can be very proud of. 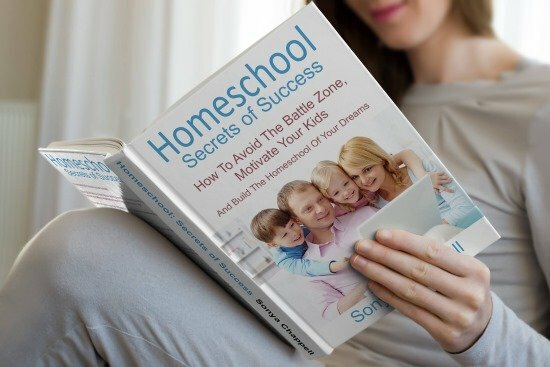 Making kids maths games that really work take the professionals years to develop; here's a homeschooling game your child can make which is so good their friends will love to play! 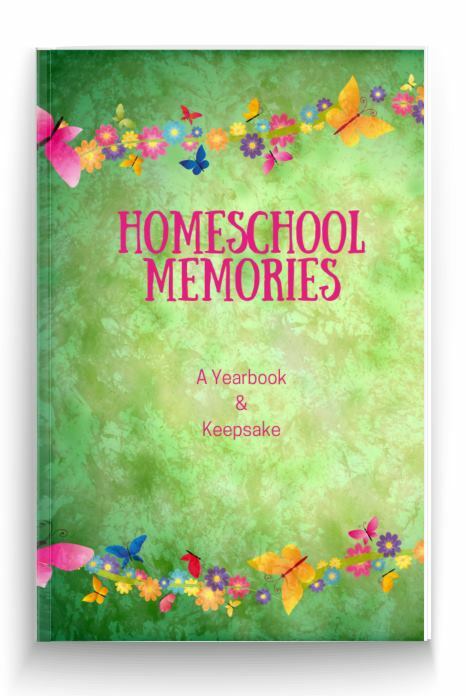 You'll also find out how to make a homeschool time clock which can keep time all the way until bedtime! Fun maths for kids with our favorite homeschooling board games. From classics like Cluedo and Monopoly, to more unusual games like Settlers of Catan and Carcassonne, they've all been number tested by William and Catherine and found fun! 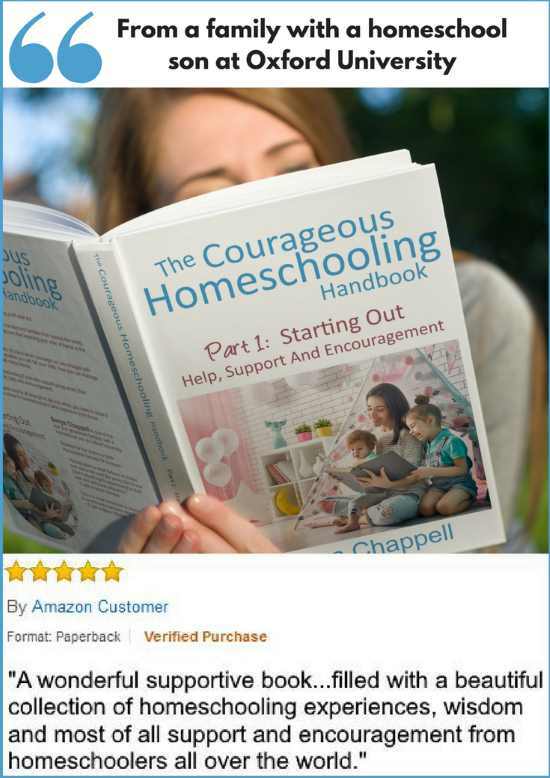 You can get your child to invent their own homeschooling number code too and see how their friend's maths skills measure up. One of the best maths activities for kids is to make your own board game. I'll be looking at more homeschooling fun maths for kids, but this time to fit in with more festive times of the year. How about Christmas Math Activities? A positive, relaxed time playing games in the holidays can do a great deal to restore your kids belief in their own ability. 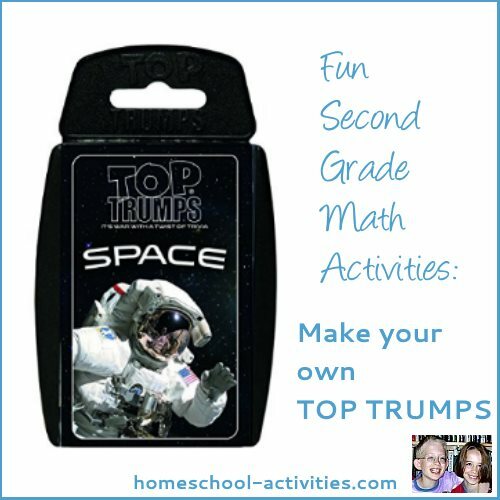 We've got fun math activities to try with everything from a homeschool geometrical tree to Chocolate Log. 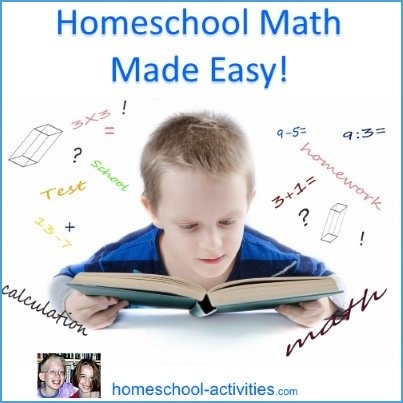 Homeschool Math Made Easy with our own Curriculum Guide. 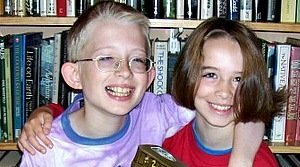 See how we make homeschooling fractions fun. 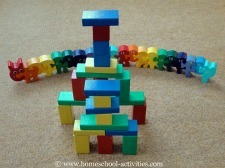 Our homeschooling geometry activities use fun maths to bring shapes to life. 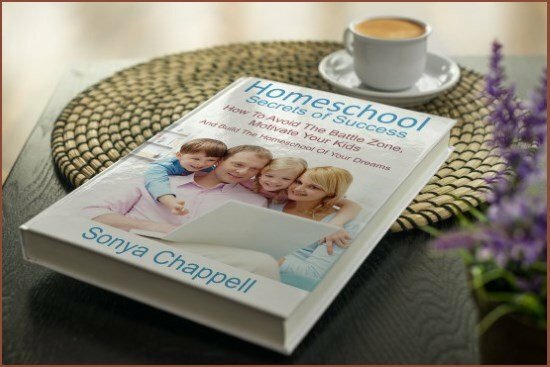 Find our top homeschooling online math websites. I am putting this here as it is a great find for fun math. 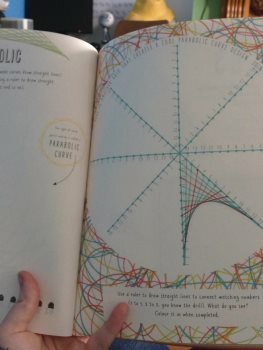 "I bought the Not Another Maths Book as I love pattern and thought the kids would enjoy it. 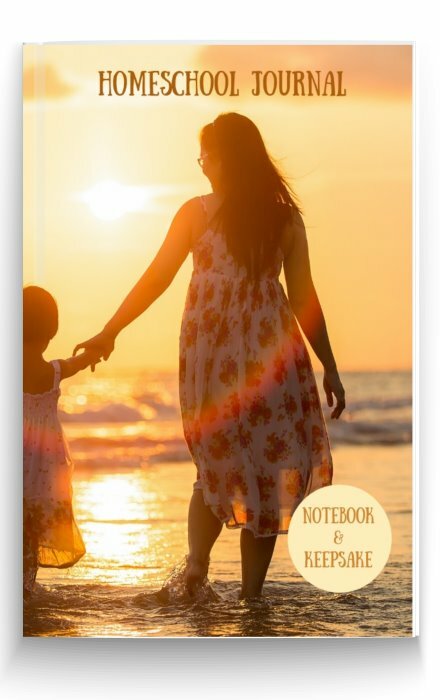 It is a fab book...I'll be copying pages and printing them so the kids can...all have a go at the activities but I know even I'll enjoy doing some." 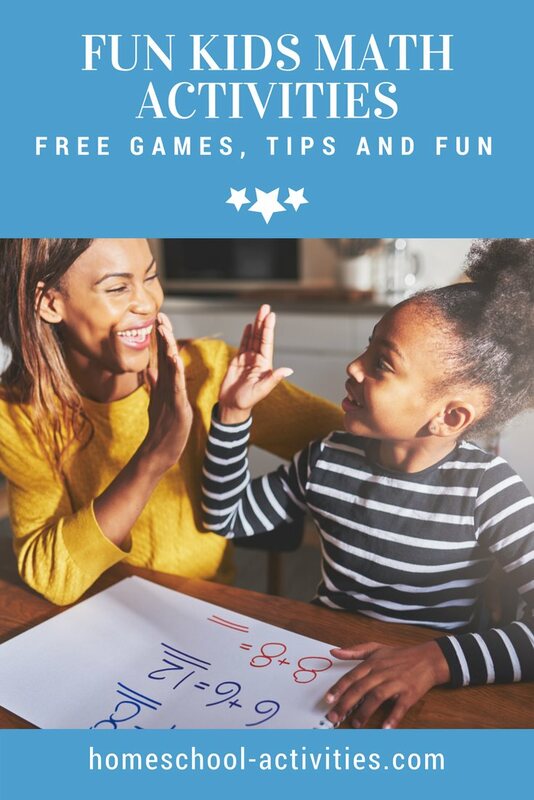 "I started looking for math lessons I can do with my daughter at home to help her out and I found your page which had a ton of great games that we found helpful. 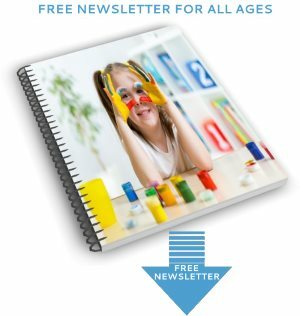 My daughter also found this page which has a ton of math lessons, help, and fun learning games. After a few weeks of home practice, Layla is back on top and doing so well. 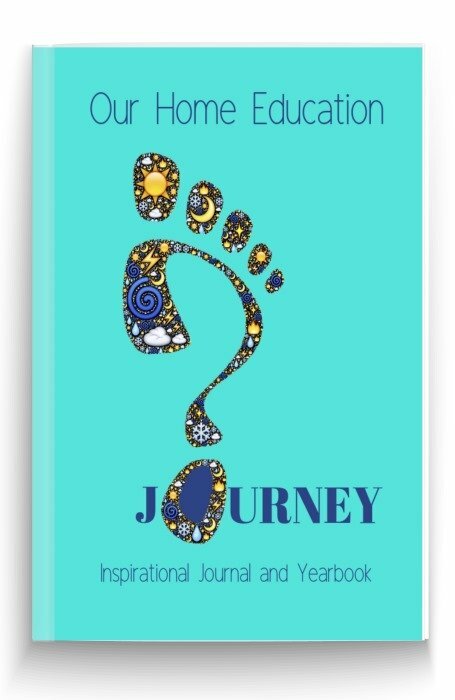 Layla asked if maybe you could include this on your page? She thought other students (whether they are struggling or not) would like it too! 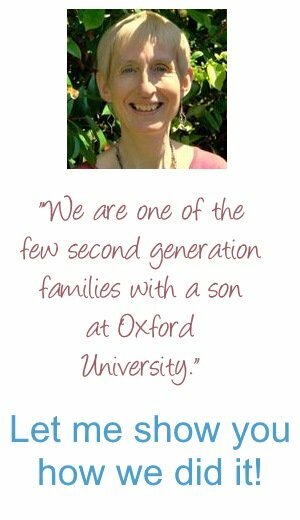 Layla has definitely benefited from the resources there." 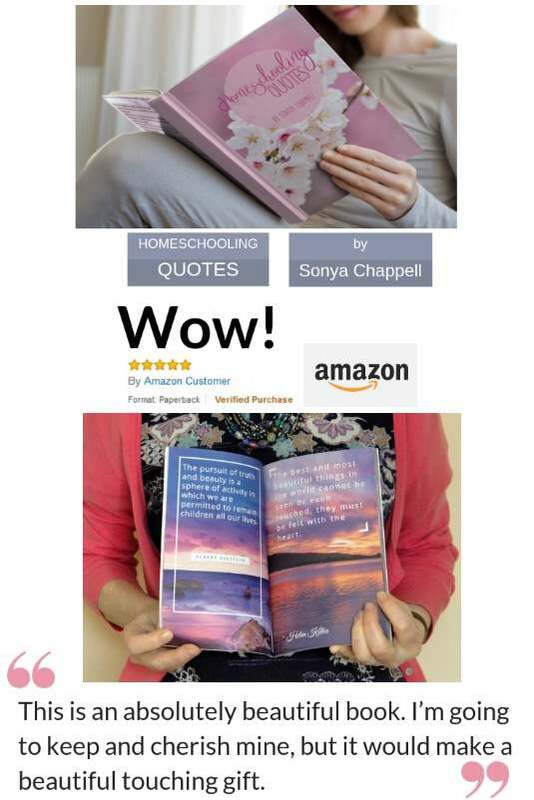 This is such a brilliant recommendation thank you so much Layla. You will find activities like a coin memory match game, dollar a glass business game and a garage sale wizard game. 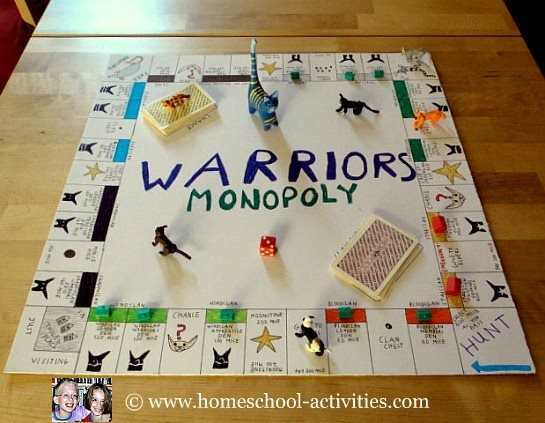 You'll find how to invent your own homeschool Monopoly set and all our other homeschooling ideas for ages 6-11 in our Elementary Activities. You can find some easy and fun math activities involving popcorn kernels and water for Kindergarten up to Grade 5 at www2.ed.gov. 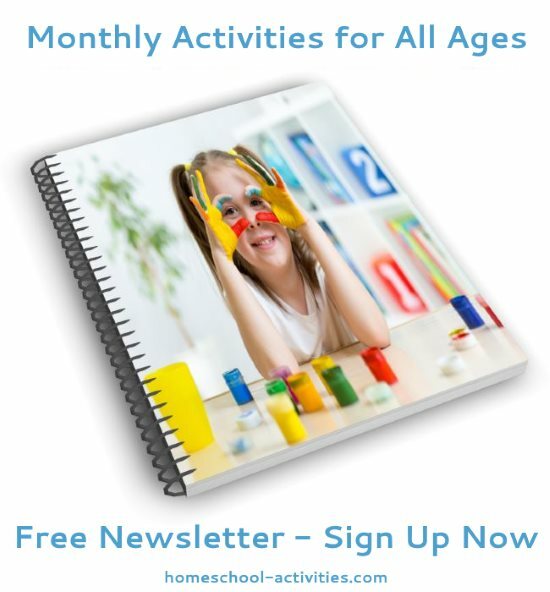 Fun math activities are just the way to help your child develop a life-long love of numbers.